CIT & Anr. Vs. Prakash Electric Company & Anr. Assessement—Capital gains—Imposition of tax—Deletion thereof—Assessee-company succeeded partnership firm comprising of 5 partners, who were said to be brothers of same family—These 5 partners who became shareholders of successor company were however, allotted only 1210 equity shares and remaining shares were allotted to them subsequently in phased manner—With these allotments of shares in four phases allotment of shares in favour of erstwhile partners in proportion of their capital account in firm was completed by company—Assessing Authority imposed capital gains tax on Partnership Firm u/s 143(3) r/w Sect 147 and tax liability on capital gains and with interest u/ss 234A and 234B —Total demand was raised against Assessee-firm—CIT(A) partly allowed appeal of Assessee and upheld levy of capita gains tax on partnership firm—Income Tax Appellate Tribunal held that not partnership firm, but, successor company would be liable to pay such capital gains tax by virtue of sec 47A(3)—Held, Provisions of Sec 47(xiii)(b) of did not envisage immediate allotment of shares in exchange of capital accounts balances of partners of partnership firm on or before date of succession of business of partnership firm by limited company—It was true that Clause (b) required all partners of firm immediately before succession to be allotted shares in company in same proportion in which their capital accounts stood in books of firm as on date of succession but law did not provide for any specific time limit for such allotment of shares in favour of erstwhile partners—Process of determining their exact balances in capital accounts in books of accounts of partnership firm upon finalization of books of accounts of partnership firm might take some time and therefore, allotment of shares at face value or at premium as company might decide by passing appropriate resolutions might also take time and therefore, condition imposed in clause (b) aforesaid had advisedly not prescribed fixed time limit for allotment of equity shares in favour of partners of erstwhile firm, whose business was succeeded by Company.—Reasonable period of such process of allotment of shares by way of consideration to partners in proportion to their capital account balance in partnership firm had to be completed during relevant previous year itself viz., on or before end of previous st year of 31 March of year, in which succession of business by company of erstwhile partnership firm took place—Providing for some period for completing said process of allotment of shares was also reasonable and necessary because process of allotment of shares subject to limits of Authorized Share Capital being increased by company and issue of shares by passing necessary Resolutions and allotment of shares by Board of Directors etc. as required under provisions of Companies Act might also be completed within reasonable period.— Provisions of Sec 47A(3) were very clear in this regard and if any of conditions laid down in Clause (a) or clause (e) of Proviso to Clause (xiii) of Section 47, were not complied with including non-compliance with conditions of clause (b) involved in present case, Sub-section (3) of sec 47A clearly provided for such capital gains tax liability to be fixed in hands of successor company for previous year in which requirements or conditions of Clause (b) of Proviso to Clause (xiii) of sec 47 were not complied with Section 47A(3), which petitioner with aforesaid interpretation, were not so complied with during previous year 1999-2000 relevant to Assessment Year 2000-2001—Substantial question of law was answered in favour of Revenue and against Assessee, by holding that allotment of shares of company which succeeded to business of partnership firm had to be complied before end of relevant previous year in which such succession of business took place—Revenue’s appeal allowed. High court was of the opinion that the provisions of Section 47(xiii)(b) of the Act, does not envisage the immediate allotment of shares in exchange of capital accounts balances of the partners of the partnership firm on or before the date of succession of business of partnership firm by the limited company. It is true that Clause (b) requires all the partners of the firm immediately before the succession to be allotted the shares in the company in the same proportion in which their capital accounts stood in the books of the firm as on the date of succession but the law does not provide for any specific time limit for such allotment of shares in favour of the erstwhile partners. The process of determining their exact balances in the capital accounts in the books of accounts of the partnership firm upon the finalization of the books of accounts of the paitnership firm may take sometime and therefore, the allotment of shares at the face value or at a premium as the company may decide by passing appropriate resolutions may also take time and therefore, the condition imposed in clause (b) aforesaid has advisedly not prescribed the fixed time limit for the allotment of equity shares in favour of the partners of the erstwhile firm, whose business is succeeded by the Company. High court was of the opinion that the reasonable period of such process of allotment of shares by way of consideration to the partners in proportion to their capital account balance in the partnership firm has to be st completed during the relevant previous year itself viz., on or before the end of the previous year of 31 March of the year, in which the succession of business by the company of erstwhile partnership firm takes place. Providing for some period for completing the said process of allotment of shares is also reasonable and necessary because the process of allotment of shares subject to the limits of Authorized Share Capital being increased by the company and issue of the shares by passing necessary Resolutions and allotment of shares by the Board of Directors etc. as required under the provisions of the Companies Act may also be completed within a reasonable period. The provisions of Section 47A(3) of the Act are very clear in this regard and if any of the conditions laid down in Clause (a) or clause (e) of Proviso to Clause (xiii) of Section 47, are not complied with including the non-compliance with the conditions of clause (b) aforesaid involved in the present case, Sub-section (3) of Section 47A clearly provides for such capital gains tax liability to be fixed in the hands of successor company for the previous year in which the requirements or conditions of Clause (b) of Proviso to Clause (xiii) of Section 47 are not complied with vide Section 47A(3) of the Act, which in our view, the petitioner with the aforesaid interpretation, were not so complied with during the previous year 1999-2000 relevant to Assessment Year 2000-2001. Therefore, High court answered the aforesaid substantial question of law in favour of the Revenue and against the Assessee, by holding that the allotment of shares of the company which succeeds to the business of the partnership firm has to be complied before the end of relevant previous year in which such succession of business takes place. Both the appeals are accordingly disposed of with no order as to costs. Allotment of shares of company which succeeds to business of partnership firm has to be complied before end of relevant previous year in which such succession of business took place. 1. Both these appeals i.e., ITA No. 60/15 (By Assessee) arid ITA No. 884/2007(By Revenue) are filed raising the following substantial questions of law arising from the order of the learned Income Tax Appellate Tribunal dated 18.07.2007 for Assessment Year 2000-2001. (1) Whether the firm is to be taxed when the provisions of Section 47(xiii)(b) are not satisfied? (2) When any of the conditions mentioned in proviso to clause 47(xiii)(b) are not complied, would Section 47A will be applicable? question of law are suggesred by the Assessee. (1) Whether on the facts and in the circumstances of the case, the Honourable Tribunal is right in law in stating that the condition under section 47(xiii)(b) should be satisfied only at the time of succession and not at any time thereafter? (2) Whether on the facts and in the circumstances of the case, the Honourable Tribunal is right in law in stating that the Respondent has failed to satisfy the condition under section 47(xiii)(b) although the shares in the successor company have been allotted in the ratio of capital accounts as stood in the books of the firm on the date of succession? “20. The firm was succeeded by the company on 1/5/99. The following was the capital balance of the partners as on 30 April, ‘99. These 5 partners who became the shareholders of the successor company were however, allotted only 1210 equity shares of Rs. 10/-each on 01.05.1999 and remaining shares were allotted to them subsequently in a phased manner. The first allotment came to the extent of 50 equity shares of Rs. 10/-each by subscribing to the Memorandum of Association of the Assessee-company. The second allotment was made on 01.05.1999 of 6000 equity shares of Rs 10/-each. The third allotment was made in their favour after a gap of 3Vss years on 11.12.2002 to the extent of 4000 equity shares of Rs. 10/-each. The final allotment of shares in proportion of the capital account of the partners was made by the company in favour of these erstwhile 5 partners on 11.03.2003 by issuing 18,50,000 equity shares of Rs. 10/-each for a premium of Rs.2.97 per equity share, With these allotments of shares in four phases commencing from 04.10.1997, 01.05.1999, 11.12.2002 and 11.03.2003 the allotment of shares in favour of the erstwhile partners in proportion of their capital account in the firm was completed by the company. Partnership Firm vide Assessment Order annexure ‘B’ dated 30.03.2005 under Section 143(3) of the Act read with Section 147 of the Act for Assessment Year 2000-01 and tax liability on the capital gains of Rs. 1,33,43,710/-to the extent of Rs.51,37,329/-and with interest under Sections 234A and 234B of the Act. a total demand of Rs.93,17,550/-was raised against the Assessee-firm. 1. The First Appellate Authority viz., CIT(A) partly allowed the appeal of the Assessee and upheld the levy of capita] gains tax on the partnership firm. “45. Now, before we discuss as to whether the capital gain should be charged in the hands of the firm or in the hands of the company, for this, we have to ascertain the implication of non-compliance of clause-(b) of proviso to section 47(xiii). 1. We will take the next ground of appeal raised, by the Assessee. The Assessee has stated that if there was non-compliance of the condition u/s 47(xiii), the incidence of tax should be on the successor company and not on the Assessee. By this proposition, the learned AR relied on the provision of section 47A(3). It was argued that if any of the condition is not satisfied, this capital gain is to be charged in the hands of the successor company. The learned AR further submitted that except clause -(b) of proviso to section 47(xiii), all the conditions are satisfied. 2. It will be relevant to reproduce section 47A(3) of the income-tax Act. “where any of the conditions laid down in the proviso to clause (xiii) or the proviso to clause (xiv) of section 47 are not complied with, the amount of profits or gains arising from the transfer of such capital asset or intangible asset not charged under section 45 by virtue of conditions laid down in the proviso to clause (xiii) or the proviso to clause (xiv) of section 47 shall be deemed to be the year in which the requirements of the proviso to clause (xiii) or the proviso to clause (xiv), as the case may be, are not complied with). 48. It is mentioned in section 47A(3) that if any of the conditions laid down in proviso to clause-(xiii) of section 47 are not complied with, then profit or gains arising from the transfer of capital assets not charged u/s 45 shall be deemed to be the profit and gains chargeable to tax of the successor company. Section 47A(3) has used the word ‘any’ clause (d) of proviso to section 47(xiii) specifies that the aggregate of the share holding of the partners of the firm in the company should not be less than 50% of the total voting power in the company and such share holding should continue to be as such for a period of 5 years from the date of succession. Thus, such condition is to be satisfied for the five years from the date of succession. Section 47A(3) has not satisfied that non- compliance to clause -(d) will be applicable for invoking the provisions. The Special Bench in the case of ITO Vs. Ms. Susheela M Javeri, 2007 14 SOT 394 had an occasion to consider the meaning of the word ‘a’ and ‘any’ as appearing in section 54 and 54F of the Act. It will be relevant to reproduce the following extract from that order. well as ‘any’ are ambiguous and, therefore, the meaning of these words has to be seen with reference to the context in which these words are used”. 1. If one is required to be harmoniously interpret section 47(xiii) and 47A(3), it is to be inferred that if all the conditions mentioned in proviso to section 47(xiii) are not satisfied at the time of succession, then capital gain will be chargeable in the hands of the firm and section 45 will not be excluded. However, if any of the conditions mentioned in the proviso to clause 47(xiii) is not complied then, section 47A will be applicable. In the instant case, shareholders of the company are the verson who are partners of the Assessee firm. In the grounds of appeal, it has been mentioned that if there is noncompliance of conditions of section 47(xiii), then the tax should. be charged on the successor company. In order to decide the issue of charging of capital gain, when condition as mentioned in clause (d.) of proviso to section 47(xiii) is not complied, then it is necessary to give finding that such capital gain will be chargeable in the hands of the successor. Accordingly, it is held that capital gain is not chargeable in the hands of the Assessee firm. 2. 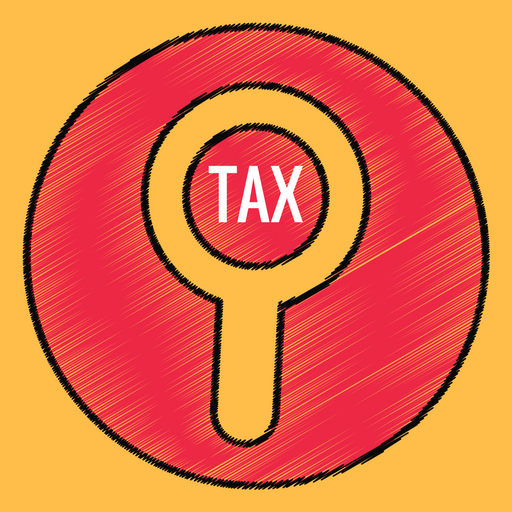 The next grievance of the Assessee is that the lower authorities have erred in holding that amount received on transfer of goodwill is taxable without taking date of succession. Since we had already held that profit and gains arising on account of transfer of assets and liabilities of the firm is not taxable in the hands of the firm, therefore, this issue is not required to be adjudicated. 3. The next grievance of the Assessee is that capital gain should be charged to tax at 20%. 4. This issue does not require to be adjudicated, as it has been held that capital gain is not to be charged in the hands of the firm”. [Withdrawal of exemption in certain cases. (xiv) of section 47 shall be deemed to be the profits and gains chargeable to tax of the successor company for the previous year in which the requirements of the proviso to clause (xiii) or the proviso to clause (xiv), as the case may be, are not complied with). (b) of the Proviso to Clause (xiii) of Section 47, even if the shares are allotted to the erstwhile partners of the firm in a staggered or phased manner, the compliance of the said condition of clause (b) should be deemed to have been satisfied. He submitted that all other conditions of the said Proviso were admittedly satisfied in the present case as the same 5 partners who were brothers of the same family and they became the shareholders of the private limited company which was also a closely held by these very shareholders and their shareholding never fell below 50% or minimum holding period of 5 years. Therefore, the allotment of shares over a period of 3Vss years from the dace of succession i.e. 01.05.1999 cannot be held to be a violation of provisions and contrary to the letter and spirit of provisions of the Act and therefore, the learned Tribunal could not have invoked and applied Section 47(A)(3) of the Act and imposed the capital gains tax under Section 45 read with Section 47A of the Act on the successor company. 1. He submitted that there was no profit or gains in the hands of the successor-company upon such transfer of assets by the partnership firm in favour of the successor-company and in the absence of this basic ingredient of levy of capital gains tax under Section 45(1) of the .Act, having accrued to the successor-company, the capital gains tax imposed on the successor-company as held by the Tribunal is not justifiable. 2. He further submitted that while the assessing authority and the CIT(A) had imposed such capital gains tax on the erstwhile partnership firm, the Tribunal shifted the said tax liability on the successor company, invoking Section 47A of the Act. He also submitted that upon initiation of the reassessment proceedings on the Assessee-company by the assessing authority under Section 147/148 of the Act, the said Company has filed another Writ petition challenging such reassessment proceedings in this Court viz., W.P.No.6627/200S which is also pending in this Court and it is being disposed of by a separate order by us today itself. reasonable time period should be allowed to the Assessee to complete with the said process of allotment of shares by the successor-company to the erstwhile partners of the partnership firm, whose business has been succeeded to by the Company . He submitted that even the period of 3 to 4 years, as it has happened in the present case could constitute a reasonable period for such compliance with the conditions of clause (b) aforesaid and therefore, he prayed that the Assessee’s appeal deserves to be allowed by answering the aforesaid substantial question of law, the levy of capital gains tax on the firm as well as the company deserves to be set-aside. 1. Per contra, the learned counsel for the Revenue Mr.K.V.Aravind submitted that the process of allotment of shares should be completed on or before the date of succession of the business of partnership firm by the limited company, as it would otherwise defeat the very purpose of providing the exemption from tax in the form of Clause (xiii) by taking out such transfers of capital assets from partnership firm to limited company out of the ambit and scope of transfer attracting capital gains tax under Section 45 of the Act. Learned counsel for the Revenue also submitted that the provisions of Clause (xiii) of Section 47 also envisages the introduction of new shareholders besides the partners of the erstwhile partnership firm, which may be a corporate body or other individuals and the conditions imposed in Clause (d) of the said Proviso viz., for such partners to retain the minimum of 50% of total voting power in the company for a continuous period of 5 years indicates that there may be other sharedo Mers also in such limited company succeeding to the business of the partnership firm and therefore, non-allotment of the shares to the erstwhile partners immediately upon succession of the business by the Company may create complications as well as deprive such shareholders of their right to receive the Dividends from the limited company from out of the profits of such limited company succeeding to the business of the partnership firm. 2. We have heard the learned counsel for both sides and given our earnest consideration to the rival submissions. 3. We are of the opinion that the provisions of Section 47(xiii)(b) of the Act, does not envisage the immediate allotment of shares in exchange of capital accounts balances of the partners of the partnership firm on or before the date of succession of business of partnership firm by the limited company. It is true that Clause (b) requires all the partners of the firm immediately before the succession to be allotted the shares in the company in the same proportion in which their capital accounts stood in the books of the firm as on the date of succession but the law does not provide for any specific time limit for such allotment of shares in favour of the erstwhile partners. The process of determining their exact balances in the capital accounts in the books of accounts of the partnership firm upon the finalization of the books of accounts of the paitnership firm may take sometime and therefore, the allotment of shares at the face value or at a premium as the company may decide by passing appropriate resolutions may also take time and therefore, the condition imposed in clause (b) aforesaid has advisedly not prescribed the fixed time limit for the allotment of equity shares in favour of the partners of the erstwhile firm, whose business is succeeded by the Company. 4. It is not disputed before us that all the other conditions, five in number, in the said Proviso to Clause (xiii) of Section 47 except the issue raised with regard to the point of time for allotment of shares, stood satisfied in the present case, and not only all the 5 partners were allotted shares in the new company, which succeeded to the business of the partnership firm but their shareholding also never fell below 50% and the minimum holding period of 5 years was also maintained from the date of succession on01.05.1999 and no other consideration except in the form of allotment of shares in the company was paid by the company to the erstwhile partners of the partnership firm. The condition of all the assets and liabilities of the firm upon succession becoming the assets and liabilities of the company was also satisfied. gains tax liability of the erstwhile firm or the successor-company. 1. We are of the opinion that the reasonable period of such process of allotment of shares by way of consideration to the partners in proportion to their capital account balance in the partnership firm has to be completed during the relevant previous year itself viz., on or before the end of the previous year of st 31 March of the year, in which the succession of business by the company of erstwhile partnership firm takes place. Providing for some period for completing the said process of allotment of shares is also reasonable and necessary because the process of allotment of shares subject to the limits of Authorized Share Capital being increased by the company and issue of the shares by passing necessary Resolutions and allotment of shares by the Board of Directors etc. as required under the provisions of the Companies Act may also be completed within a reasonable period. 2. However, the words ‘reasonable period’ cannot be stretched to cover a large period like 3 to 4 years, as it happened in the present case and the apparent reason assigned by the Assessee in the present case was that the Authorized Share Capital of the company was not increased suitably to make the allotment of these shares to the partners and the consideration for their intended allotment of shares in proportion to their share capital was credited in the ‘Shareholders Fund Account’ in the Books of Accounts maintained by the Company. 3. This in our opinion was not a sufficient reason or excuse to delay the process of allotment of shares of the Company in favour of the erstwhile partners to an unreasonably long period of about 3’/2 years. By such delay of 3 to 4 years, not only the partners were deprived of their right to receive the Dividends for this period of delay because had they been allotted these shares at the lime of succession of the business oi immediately thereafter, before the end of previous year on 31.03.2000 as against the succession of business on 01.05.1999, they would have become entitled to receive the Dividends for the financial year ending on 31.03.2000, but since in the present case last allotment of shares to larger extent was made by the Company only on 11.03.2003, they were deprived of such an opportunity for 3 years in a row. 4. Had it been a case of other shareholders or outside shareholders also joining the said company and the allotment process of shares could have been legally delayed for 3 years for such other persons also, in a hypothetical case, even such other shareholders would have been deprived of such Dividends from the company, if the reasons assigned by the Company that Authorized Share Capital of the company was not suitably increased was to be taken as a valid excuse, for that purpose. 24, Therefore, we are satisfied that on a reasonable and harmonious construction of the relevant provisions of the Act quoted above, the Company in the present case was rightly held liable for the capital gains tax liability by virtue of Section 47(A)(3) of the Act read with Section 47 (xiii) (b) of the Act. We are of the opinion therefore that the learned Tribunal was justified in holding that the Assessee-company was liable to pay such capital gains tax liability instead of the partnership firm and to that extent the Assessing Authority as well as the First Appellate Authority viz., CIT(A) fell in error in affixing such liability on the partnership firm. 1. The provisions of Section 47A(3) of the Act are very clear in this regard and if any of the conditions laid down in Clause (a) or clause (e) of Proviso to Clause (xiii) of Section 47, are not complied with including the non-compliance with the conditions of clause (b) aforesaid involved in the present case, Sub-section (3) of Section 47A clearly provides for such capital gains tax liability to be fixed in the hands of successor company for the previous year in which the requirements or conditions of Clause (b) of Proviso to Clause (xiii) of Section 47 are not complied with vide Section 47A(3) of the Act, which in our view, the petitioner with the aforesaid interpretation, were not so complied with during the previous year 1999-2000 relevant to Assessment Year 2000-2001. 2. Therefore, we answer the aforesaid substantial question of law in favour of the Revenue and against the Assessee, by holding that the allotment of shares of the company which succeeds to the business of the partnership firm has to be complied before the end of relevant previous year in which such succession of business takes place. Both the appeals are accordingly disposed of with no order as to costs. This entry was posted in Sec. 143(3), Section 147, Section 47 and tagged 407 ITR, In favour of Revenue, Karnataka High Court.